The dates for the Florida trip have been set. We will depart on the evening of Wednesday, April 11, and return on the morning of Sunday, April 15. Our performance day will be Friday the 13th. Exact times and itinerary will follow at a later date. The Band Club once again will pay in full our charter buses. The student cost for this trip will be $605. This fee will pay for two breakfasts, one pizza party, all tickets, and all room fees. If you wish to pay fees over a 10-month period, beginning June 2017 and ending March 2018, $85 payments are due between the 16th and 19th of each month. 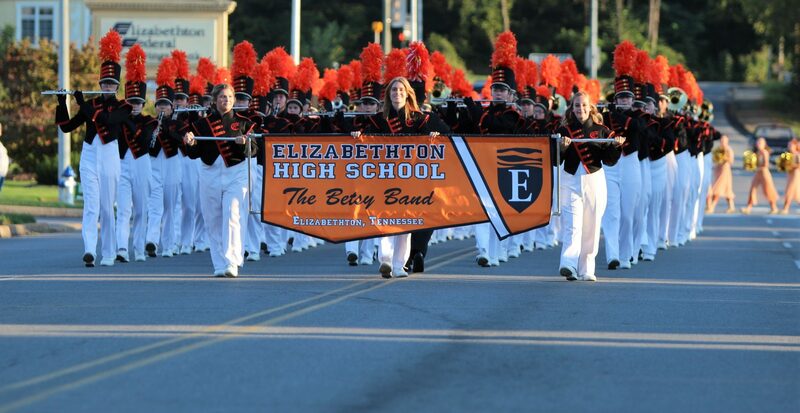 Please mail payments to: Elizabethton Band Boosters, PO Box 2113, Elizabethton, TN 37643. If you have a plan that will work better for your family, please email perry.elliott@ecschools.net. All students will need to make their travel commitment if they plan to make the trip to Disney by August 16. This is not a required trip, but I do believe it is a great deal and a wonderful trip. Please, email me if you have special needs.